After being stuck in development hell, the first image has finally been released for Ang Lee’s adaptation of ‘Life of Pi’. ‘Life of Pi’ is a 2001 novel written by Yann Martel about a young boy named Pi Patel, who survives a shipwreck and is forced to embark on an adventure, where he explores ideas of language, religion, animal psychology, and more. I’m not a fan of director Ang Lee, but I really enjoyed reading ‘Life of Pi’. The themes, characters, and style of magical realism hooked me from the beginning. The film adaptation has been in the works for nearly ten years and has passed through the hands of a number of directors. M. Night Shyamalan, Alfonso Cuarón, and Jean-Pierre Jeunet were all attached to the project at various points. The current iteration of the film, with Ang Lee as director, has been in production since early 2010. I would have much preferred Cuarón or Jeunet direct the film, but this image has piqued my interest. Hopefully, they will release a trailer soon to give fans an idea of what to expect. 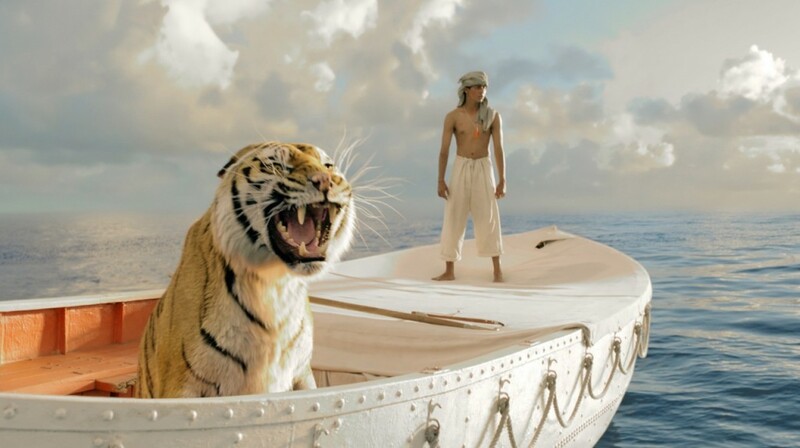 ‘Life of Pi’ is slated for a December 21, 2012 release. So exciting! Pi Patel is one of my favorite characters. cool post.. this thing looks like it will be pretty awesome! Pi I wanna see pi!